The world is saturated and taking over by technologist, so some things we believe some years ago might not still very true today. Some years back smartphones always look bigger and heavy but now you see smaller phone that you could not believe it can perform the same function as the bigger one and they are working so perfect. We have to erase some old fables from our memory which has blindfolded us to know the fact that technologies has gone beyond imaginable. It happens to me and many others, here are some eye open to allow you enjoy your phone to the fullest. Attendants in phone stores still tell their customers this. Older batteries of Nickel Cadmium and Nickel-metal hydride forgets their full capacity, you would have to charge 100% fully on first use and discharge to 0% again before another charge. Nowadays, smartphones now use Lithium-ion batteries which don’t suffer from memory problems. Lithium-ion batteries count charges differently than older batteries. So, don’t worry charging it to 100% on first use or discharging to 0% before re-charging. Charging older lithium batteries overnight can possibly deteriorate the battery life by overheating. However, these days, chargers and smartphones can prevent this from happening. When it gets to 100%, they will only trickle charge a battery and run the phone on an extreme low power from a charger. Just exactly when you remove the battery of a laptop on charge. So, your phone will remain mainly on the charger power when your battery hits 100%. The only thing I could say is when it is raining and you are not sure if the house is thunder control then you might have the fear of it not affecting your charger or any thing plugged to the socket, on the other hand you are safe. Some people still make use of third party battery saving apps, while some people even have up to 2-3 battery saving applications and they seems to believe it works. Though, this works during the time of Android 2.3 and below. Nowadays, it works no more because Google and other OEMS have worked hard on memory management algorithms. So, most of your third party battery management software will negate the performance of this algorithms and cause more harm to your phone than good. We generally calculate battery by its mAh and expect a 5000mAh to fully charge a 2500mAh battery twice. The catch is the voltage at which it charges. Phone charges at 5 volts and power bank is calculated at 3.7 volts. 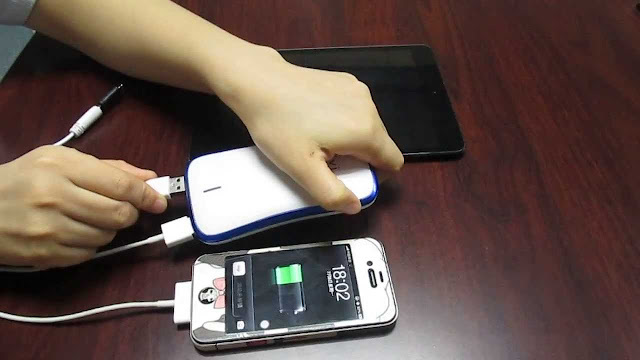 When you connect your charger to the power bank, the voltage is converted to 5V which affects the overall power of the power bank and power is converted to 4.2V when power gets to the phone. The process consumes a lot of power due to heat, that conversion efficiency also plays a role on the actual capacity of the power bank. This post is from Prexblog, just a little edit done on it by Olarsblog staff. I believe with this your mind set should change and keep enjoying your phone.